YOURCOMICSTORY.COM IS A ONE-OF-A-KIND GROUP OF COMIC ART ENTHUSIASTS. AS PARENTS, HUSBANDS, AND EVEN MARKETERS, WE REALIZED THAT COMIC BOOKS TELL A BETTER STORY. 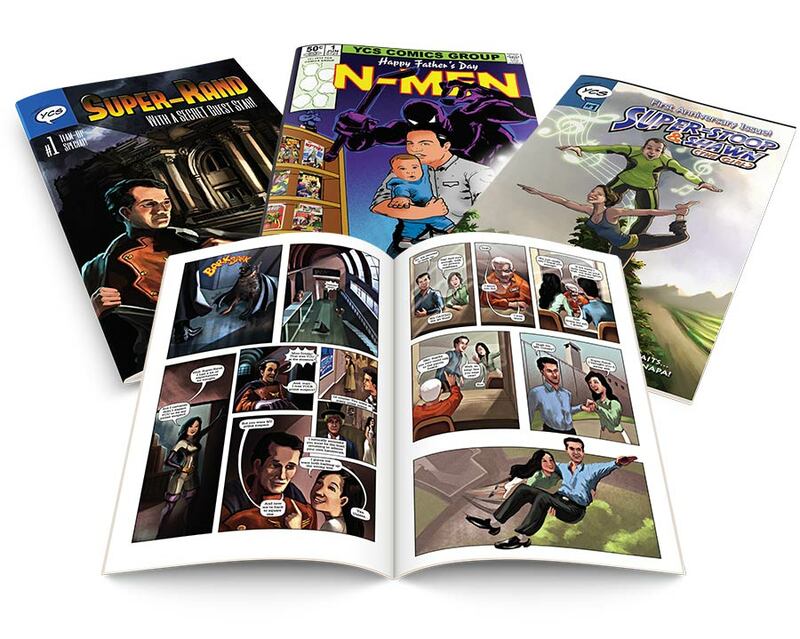 STARTING WITH PERSONALIZED COMIC BOOKS FOR KIDS, WE GOT SO MANY REQUESTS FOR CUSTOM ANNIVERSARY COMIC BOOKS, WEDDING INVITES, NON-PROFIT EVENT PROGRAMS, TEACHING TOOLS, POSTERS, AND MORE THAT WE EXPANDED OUR SELECTION TO FIT EVERY NEED FOR A BETTER STORY. Our comic book customized gifts for business and personal occasions were featured on Calgary’s Breakfast Television. They talked about Your Comic Story as the most creative gift for the holidays. The host loved our unique gift of a poster with her and a comic book with her daughter. And the other host got a surprise gift too. Ready to superhero-size your personal or corporate story?